The IRRV invites you and colleagues to a complimentary half day seminar, IRRV Scottish Association AGM and lunch at the Municipal Chambers, Falkirk, on Thursday 9th May 2019. We are delighted that this year’s AGM is kindly again being sponsored by Alex M Adamson LLP. Business Growth Accelerator – three perspectives - Tony Rosenthal, Director, CBRE Ltd., Chris Thomson, Head of Revenues, Benefits & Collections, Glasgow City Council and David Thomson, Assessor and ERO, Dunbartonshire and Argyll & Bute VJB. Overpayment Recovery – Janet McCulloch, Senior Benefits Officer (pro-active), Dumfries and Galloway Council. This talk will focus on HMRC employer recovery – project steps, lessons learned and project benefits. The seminar will be chaired by Kevin Fraser, President, IRRV Scottish Association. There will also be ample time for questions and answers and discussion of these vital issues for practitioners – this is an opportunity not to be missed. The event will start at 10.30am (coffee and rolls on arrival from 10am) and will finish with a presentation to successful IRRV students and the annual general meeting around 12.20pm, followed by a complimentary buffet lunch at 12.30pm. event is entirely free of charge and is not limited to IRRV members and students as it will be of benefit to the wider valuation, local authority and related audience. Please advise by return e-mail of your attendance – send bookings to scotland@irrv.org.uk. Full joining instructions will be issued to attendees before the event. We look forward to seeing you on 9th May. IRRV Scotland is delighted to announce the return of the Annual Scottish Revenues Symposium, at the request of authorities and IRRV members across Scotland. The 2019 Symposium is taking place at the Leapark Hotel, Grangemouth on Thursday 23rd May 2019. The Symposium this year will concentrate on improving changing culture and improving revenue collection, reforming the Council Tax with input from academic, valuation and revenues practitioner perspectives, an approach to corporate debt, achieving increased revenues collection in challenging times, good practice in council tax recovery in collaborating with debt advice agencies, a workshop on the review and reform of the Council Tax Reduction Scheme, and other key issues. IRRV Scotland held a hugely successful Universal Credit Conference on Thursday 18th April 2019. 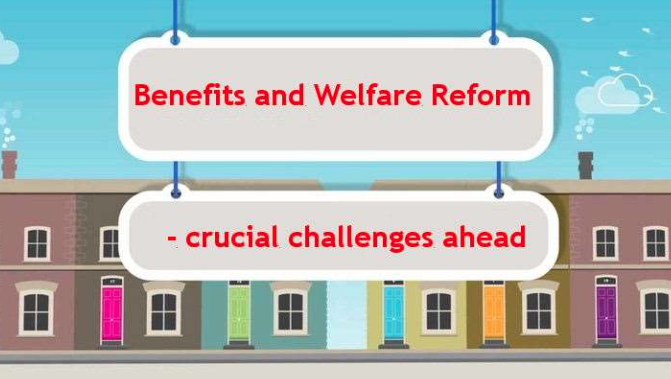 IRRV in Scotland is delighted to announce the return of the Scottish Benefits and Welfare Reform Conference. This is a major event in the Institute’s calendar and an excellent opportunity for senior benefits practitioners and their staff to hear about the key issues affecting the administration of Housing Benefit and Council Tax Reduction in Scotland. IRRV Scotland ran an extremely well-received Scottish Conference at the Crieff Hydro Hotel on 5th and 6th September 2018, with excellent speakers. We are delighted that Scott & Co was this year’s overall Conference Sponsor. We are delighted to advise Scottish local authorities about arrangements for provision of the Diploma & Certificate qualifications in Scotland, provided by the Institute of Revenues, Rating & Valuation. As you may be aware, IRRV provides a Certificate qualification course aimed at staff in Revenues and Benefits administration in Scottish local authorities. It is also very relevant to other staff – for example Housing Association staff wishing to build an in-depth knowledge of Housing Benefit, or recovery agents’ staff wishing to build an in-depth knowledge of Council Tax and NDR. The course provides expert tuition covering all aspects of welfare benefits and revenues law and practice. A full prospectus is available along with enrolment form by clicking below. IRRV Scotland ran a well-attended and very successful Scottish Benefits & Welfare Reform Conference on Wednesday 22nd November 2017 at The Lighthouse, Mitchell Lane, Glasgow. IRRV Scotland ran an extremely well-received Scottish Conference at the Crieff Hydro Hotel on 6th and 7th September 2017, with excellent speakers. Follow the link to download the slides. The Institute is again indebted to Scott and Co who are our Overall Conference Sponsor at Crieff 2017.